It might not seem like a particular surprise, that the African nation of Tunisia – better known to many as Tatooine – has arrested pirates. However these aren't your 'Knock-off Nigel' types selling DVDs that are in prison, but Pirate Politicians, arrested for having a political view different from the ruling government. 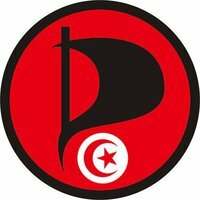 The news broke this morning, 3 members of the Tunisian Pirate Party have been arrested and detained, and their computers seized, for practising political awareness. Obviously, this is a subject that's kinda close to my heart, and is a strong reminder of just how hard the struggle is in places. It's not easy being a Pirate [politician] in many countries, as people may refuse to take you seriously, which is at least tolerable and can be dealt with through education. It's when the ability to exercise any sort of political influence or initiative at all is stifled that the real problems start. This is an issue within the US, where ballot access laws – some of the most restrictive in the 1st world – have left most people with an extremely limited (some might say undemocratically so) choice. Even worse, the vast influxes of money to the two dominant parties have meant that any other party attempting to run for office has little chance to reach voters, and so voters dismiss them as 'unable to win'. However, I've described some of the issues with the US political system 2 months ago here; now is not the time. In Tunisia, the political system is much worse. There is rampant censorship, and active government-led hacking in order to stifle, not just political dissidence, but plain old fact finding. How bad is it? Well the Internet's least favourite skiddys (or script-kiddy's – not just a contraction, but a reference to the skid-marks left in their underwear when their pathetic criminal actions are dealt with) have now decided to jump on the bandwagon, firing their tantrum-tool. However, Tunisian actions are beyond the pale now, an action by a corrupt government afraid of the people. Pathetic cowards afraid that their impotence would be exposed without the iron fist protecting them. A seething mass of thuggish louts whose inability to competently govern a country has to be disguised by strong-arm tactics, and burying the facts (and probably, the bodies of their critics). Were they Men, they would have the balls to stand up behind their policies, instead of scared, castrated weaklings, worrying their pathetic uselessness will become public knowledge. When Star Wars: A New Hope was filmed in Algeria in the late 70s, I doubt Lucas intended that his tale of a government run near-totalitarian state would be taken so literally. The film opens with an abduction of an opposing political figure, and that's where Tunisia is now. It's government is certainly “a wretched hive of scum and villainy.” as Obiwan put it. To Slah Eddin Kchouk (aka Le Loup), Azyz Ammami (aka Azyoz GM), and Slim Ammamou (aka Slim404) I pledge my support, and hope that you will be released soon, and I call upon the government on the UK, and US (and what the heck, George Lucas), and indeed of the entire civilised world, to come down on the government of Tunisia and show that democracy doesn't mean rigged elections, or an extreme restriction on campaigning for any party except the President's party. Meanwhile, Slah, Azyz, and Slim, know you are in my thoughts, fellow pirates. More reading on the Tunisian situation, including government sanctioned hacking can be read here. An interview with Slim Amamou recorded a day before the arrest, can be found here. A statement by a multitude of International Pirate Parties can be found here.